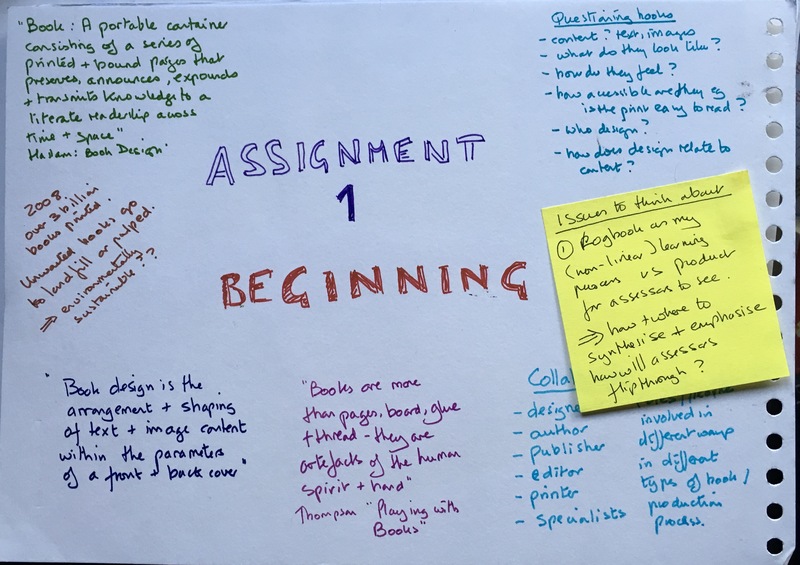 I began by thinking about different types of book form and planning how I would creatively record my progress as a book designer. These ideas then evolved during the course into a series of ‘sketchlogs’ to complement this blog for my final submission. Then I considered the types of books that I like or have influenced me in the context of the history of book design. Diversity – women and men all look like different individuals (though women and men are still stereotypes in the isotopic symbols. Groups are distinguished, but also people in groups can be different. Duplicate multiply. This has the most of my mother’s expression, but my earrings. Linear burn and adjust brightness and contrast. This is the most mixed of the images. Linear dodge. My mothers hair and mouth with my eyes. Looks dreamlike. Hard mix. My eyes and my mother’s mouth. Looks young and interesting. The creative design process, and my first project on identity. At this point the model was a linear one – this was subsequently revised as my creative process evolved.